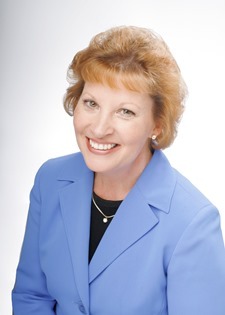 Bio: Susan G Mathis is a speaker, published author, freelance writer, editor, and writing coach. Susan would love to serve you with your speaker and/or writing needs. Her encouraging and uplifting authenticity and openness make her a popular speaker, workshop leader, and media guest, and she’s happy to design a program that’s just right for you. Susan’s professional speaking experience spans two decades. Since 1993, Susan has served as a speaker at teacher’s conventions, writers conferences, and other organizational gatherings such as Evangelical Press Association (EPA) as well as smaller venues. She currently mentors writers and editors, leads a writers group, and co-leads the regional EPA meetings. She also enjoys serving as a radio show guest speaker and speaks at various venues locally, nationally, and internationally. Susan especially enjoys speaking at women’s events where she prepares women for life’s adventures—those challenges and changes that come in marriage, parenting, and family life. Through her experiences as a wife, mother, grandmother, teacher, and Christian ministry leader for over 30 years, Susan shares her wealth of experiences and knowledge in a personal way. With over 18 years of publishing experience, Susan also finds great pleasure in helping writers and editors develop their craft and hone their skills at writers conferences, conventions and local writers groups as she passes on the wealth of knowledge she’s gained as the former Editorial Director of 12 unique Focus on the Family publications and the Founding Editor of Thriving Family magazine. She also enjoys mentoring editors, coaching writers, and providing consulting services to Christian writers and publications. Susan has authored two internationally popular books: The ReMarriage Adventure: Preparing for a Life of Love and Happiness, released in September, 2012, and Countdown for Couples: Preparing for the Adventure of Marriage, released in 2008 (also published in both Indonesian and Spanish). She has also been a contributing author to several books on marriage and parenting. Susan has written hundreds of magazine and newsletter articles for numerous national and international publications including a variety of Focus on the Family publications, Today’s Christian Woman, and many others, and she is currently a regular contributing writer for StartMarriageRight.com. Please visit www.SusanGMathis.com for more.